We are excited to announce that Renaissance Village Murrieta is nearing completion on its Memory Care Villas. Scheduled to open the Summer of 2017. These Memory Care Villas are state of the art and feature an open space common area plan. I’d like to take the opportunity to thank Lydia Percia, Senior Vice President for all her efforts to make Renaissance Village Murrieta a true success. Her interior design themes have been highly received by our local community. Shannon Hundley who has served as Senior Executive Director has been transferred to Continental East Development. He’s been charged with a new responsibility as the Director of establishing a Home Health Care division. We look forward to sharing more about these services soon. Mariam Tawfik, Assistant Executive Director, was promoted to Executive Director. She’s an excellent Licensed Vocational Nurse, licensed RCFE administrator and 2nd generation caregiver with vast experience in the senior living industry. We welcome back Ashley Percia to Renaissance Villages. She’s served as Assistant Executive Director of our Rancho Belago location. Her new duties will be that of Regional Director of Marketing for both of our communities. Thank you for your continued support as we create great days for our residents. 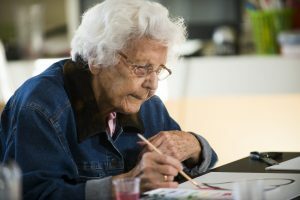 To learn more about the senior living options available at Renaissance Village Murrieta, visit http://renaissancevillages.com.